I needed something fast to make for lunches this week. 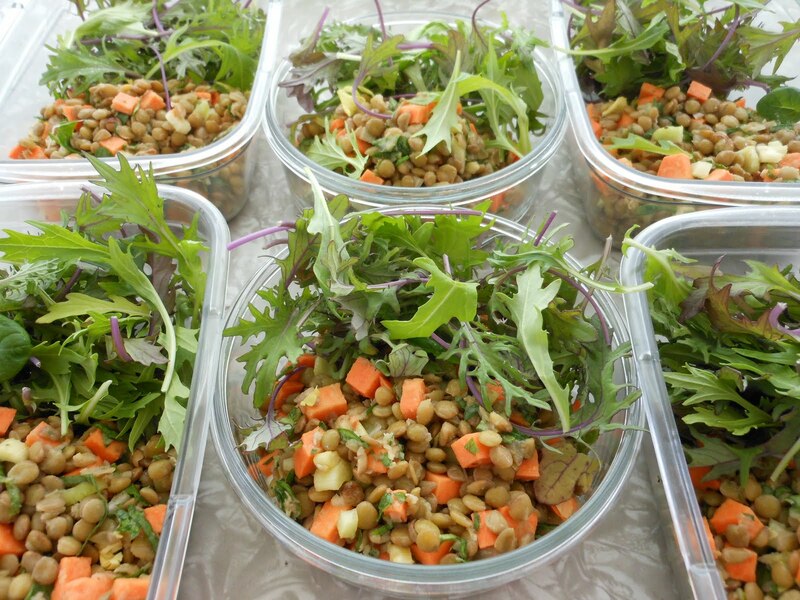 This Lentil Salad fit the bill, it’s fresh, fast and taste like summer. Feel free to use any vegetables that you like, you can also swap out the herbs if you prefer to use different ones. Enjoy! 1. 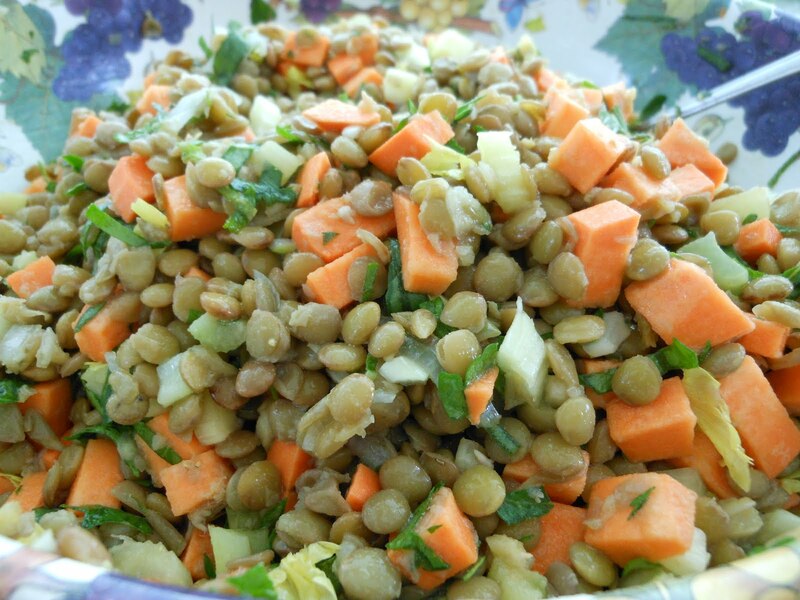 Drain and rinse the lentils, place in a large pot and add 3 c. of water for every cup of lentils. (6c. total). 2. Bring to a boil, add a pinch of salt (and a piece of Kombu-optional), skim the foam of the top of the lentils. Place a lid on the pot turn down the heat to medium or medium low and simmer for 30 minutes. 3. After 30 minutes take lid of pot and pull out a few of the lentils and smash between your fingers, if they mash easily they are ready. If not cook a little longer. 4. Drain the lentils into a colander in the sink, and gently rinse the lentils under cold water. Set aside while you chop the rest of the ingredients. 1. Scoop the lentils from the colander to a big bowl, add all the mix-ins and toss lightly. Mix well. Taste for salt and pepper- add more if needed. 2. Divide into containers for lunches.